1. Eating breakfast helps you maintain a healthy metabolism. While your body won’t automatically shift into “starvation mode” or anything, skipping meals can cause your resting metabolism to slow down, since there’s nothing in your system for it to burn. Fueling your body first thing in the morning helps you function at your best — whether you’re bookin’ it to class all day or jammin’ to your favorite playlist in your room with your girls, It also helps you cut back on binge snacking. 2. Eating breakfast helps you concentrate. Have you ever tried to do, well, anything, with hunger pains and a growling stomach? Yeah, not a good look. 3. Eating breakfast is super easy and super fast. Got toast, fruit, yogurt, or milk? Then you’ve got a delicious morning meal. Whip up a fantastic smoothie; spread your choice of cream cheese, peanut butter, or Nutella on a toast or bagel; or enjoy your favorite cereal. Not into traditional breakfast foods? Don’t eat ’em. Pull out the dinner leftovers or make a yummy sandwhich! It doesn’t matter what type of food you eat, just as long as you do eat. 4. Eating breakfast can help you start the day off in peace. Take a few minutes to mentally prepare for the day while you’re eating. You’ll feel ready to take on anything. 5. 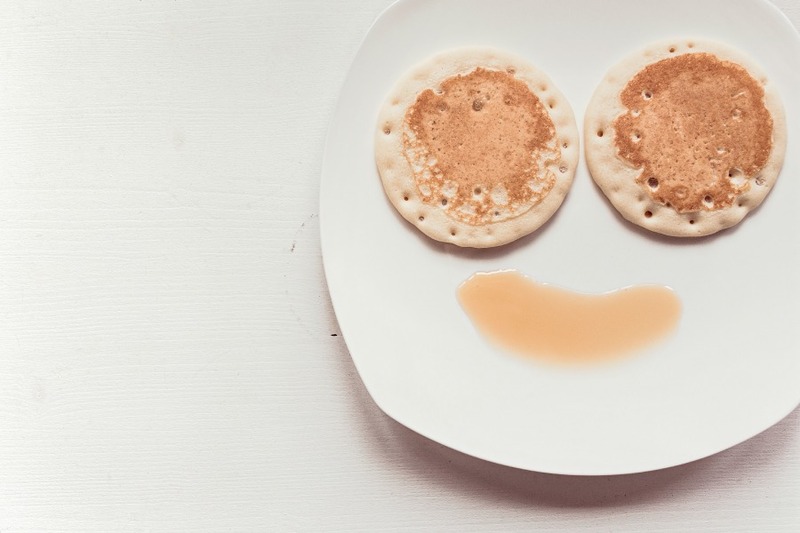 Eating breakfast gives you more energy, so you can have even more fun. Food = energy. That is all. 6. Eating breakfast can help you break that caffeine habit. Because you’ll be properly energized, you won’t be so pressed over snagging that next Starbucks or Red Bull fix. 7. Eating breakfast is the first step toward a balanced diet. You can’t possibly get all the nutrients your body needs from two meals and way too many sugary snacks. So, get right with a healthy meal in the morning that will hold you through a good part of the day, also helping curb those junk food cravings. 8. Eating breakfast is fun because it tastes good! Who doesn’t love to eat? (We sure do. Not gonna’ lie.) Point blank, food is good, so don’t miss the chance to indulge. Do you typically skip breakfast or do you always make sure to eat something before leaving the house? Tell us in the comments below!